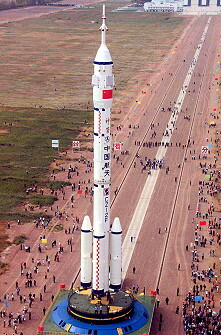 Launch from Jiuquan Satellite Launching Center; landing in Inner Mongolia; third Chinese manned spaceflight. 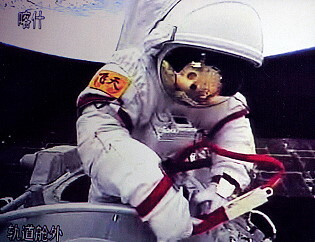 Zhai Zhigang performed the the first spacewalk of a Chinese on September 27, 2008 (22m). 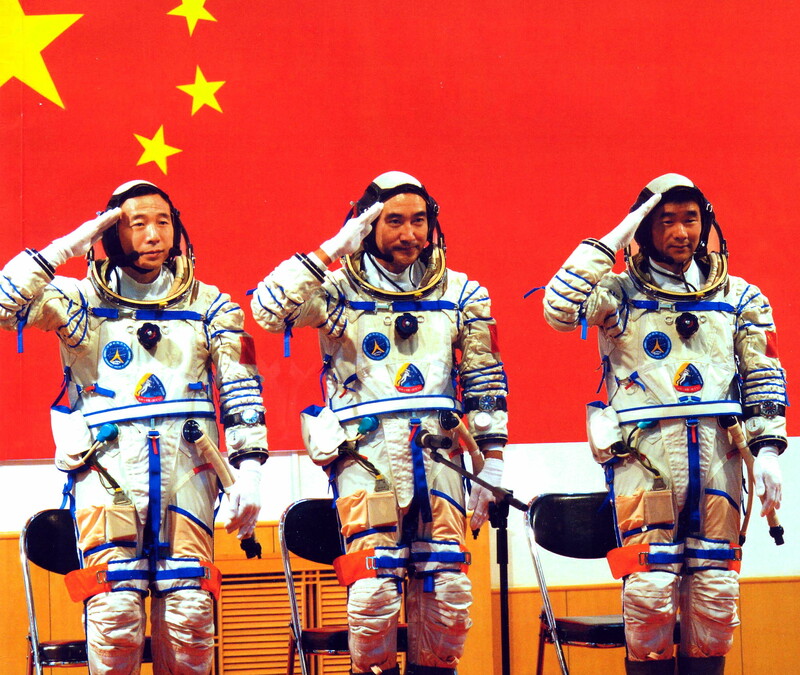 He was wearing a Chinese Feitian spacesuit. Zhai Zhigang was assisted by Liu Boming who made a stand-up EVA, wearing a Russian Orlan suit. 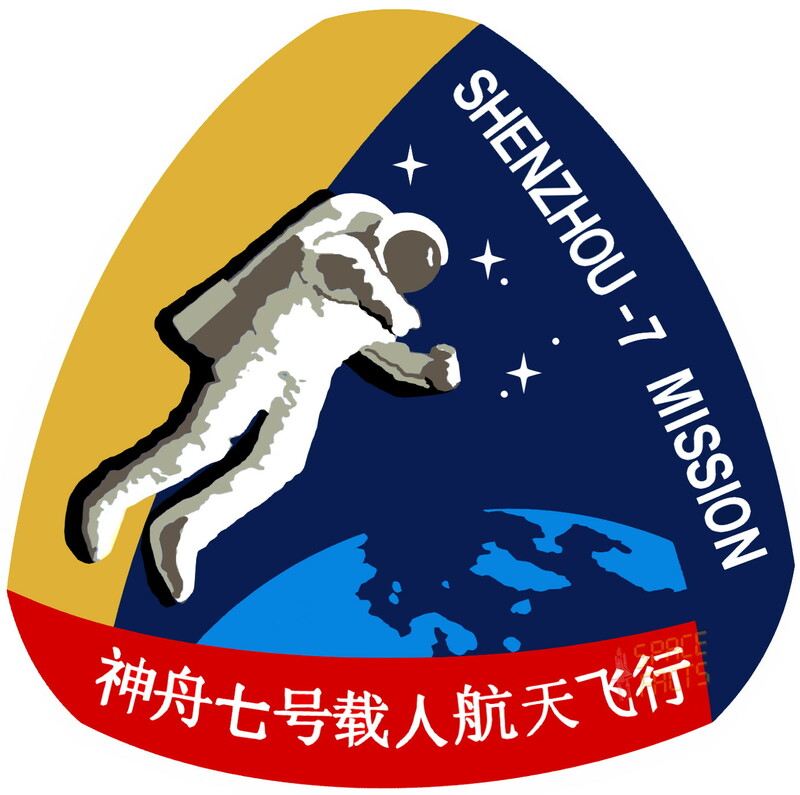 During this spacewalk Zhai Zhigang retrieved an experiment mounted to Shenzhou VII's exterior. 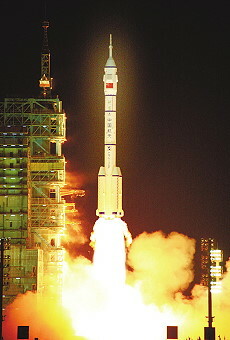 The Shenzhou VII EVA made the Chinese space program the third to have conducted an EVA. EVAs had previously been conducted by the space programs of the Soviet Union (later Russia) and the United States. 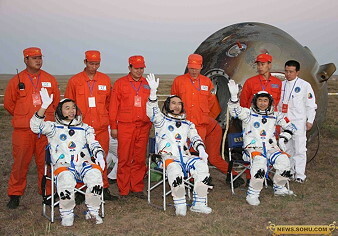 A miniaturized satellite was released during the mission on September 27, 2008 at 19:24 UTC, after Zhai Zhigang returned to the spacecraft. The satellite was a cube about 40 cm (16 in) long, with a mass of 40 kilograms (88 lb); it carried boost devices and two 150-megapixel stereo cameras. 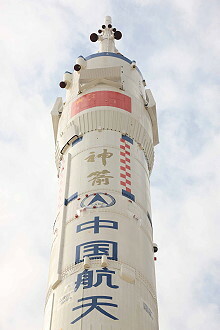 The satellite's tasks included testing the mini-satellite technology, observing and monitoring the spacecraft, and testing the tracking and approaching technology used for space rendezvous and docking. The miniaturized satellite took photos and videos near the spacecraft, then maneuvered to about 100 to 200 kilometers (62 to 120 mi) away from the spacecraft. 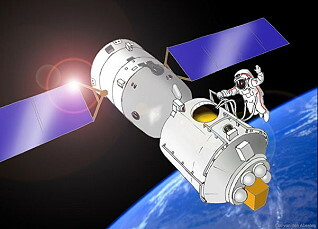 After the return module separated from the spacecraft and re-entered the atmosphere, the satellite caught up to the orbiting spacecraft using a liquid ammonia engine, then continue to orbit around the spacecraft. 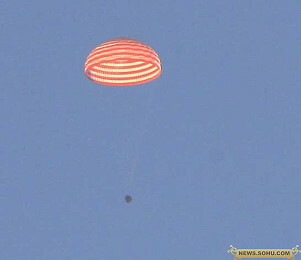 The mini-satellite will work for about three months. 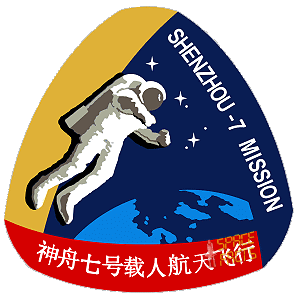 Scientists conducted a solid lubricant exposure experiment during the mission. 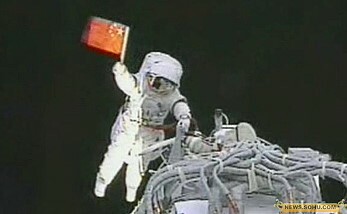 A piece of equipment the size of a book was installed on the outside wall of the orbital module, and was later retrieved during the space walk, after having been exposed in space for more than 40 hours. 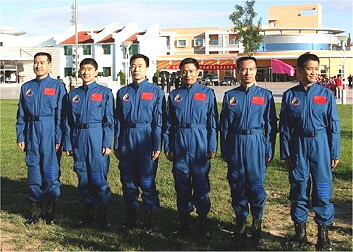 The experiment was aimed to study a lubricant which will be used for space-based moving components in future space facilities. Last update on April 20, 2018.